My presentation on the history of rum (with a focus on how it helped lead to the American Revolution and then went on to cause trouble in Australia before pretty much spanning the globe) has been picked up by the Illinois Humanities Council’s “Road Scholars” program. Under this program, qualified non-profits gain access to a wide range of top speakers at a subsidized rate. Organizations that don’t participate in the Road Scholars program are still free to hire speakers in the program without going through the IHC, it’s just that they’ll have to pay the speaker fees. However, if you are an organization that participates in the IHC program (or qualifies and would like to sign up), know that these speakers are wonderful and fascinating (meeting them is a big part of the joy of being in the program). So I can recommend the program as a whole. The lovely, enthusiastic, and dedicated people at the IHC do a great job. I do a lot of public speaking, much of it on travel, some of it on food history. A currently very popular presentation I give is on the history and impact of rum, which arose in the Caribbean in the 1600s and spread around the world. If you want a little more background on its impact (like the American Revolution), you can check out my earlier post, Yo Ho Ho and a Bottle of Rum (which happens to also be the title of my presentation–though the presentation includes a lot more information). One expects rum in a fair number of places–the Caribbean, Australia, South America, and Hawaii, for example. But one does not expect to find rum being produced in Illinois, which has a long history of corn whiskey but no history at all of rum making. It was a most unexpected discovery–and was, quite obviously, something I had to check out. 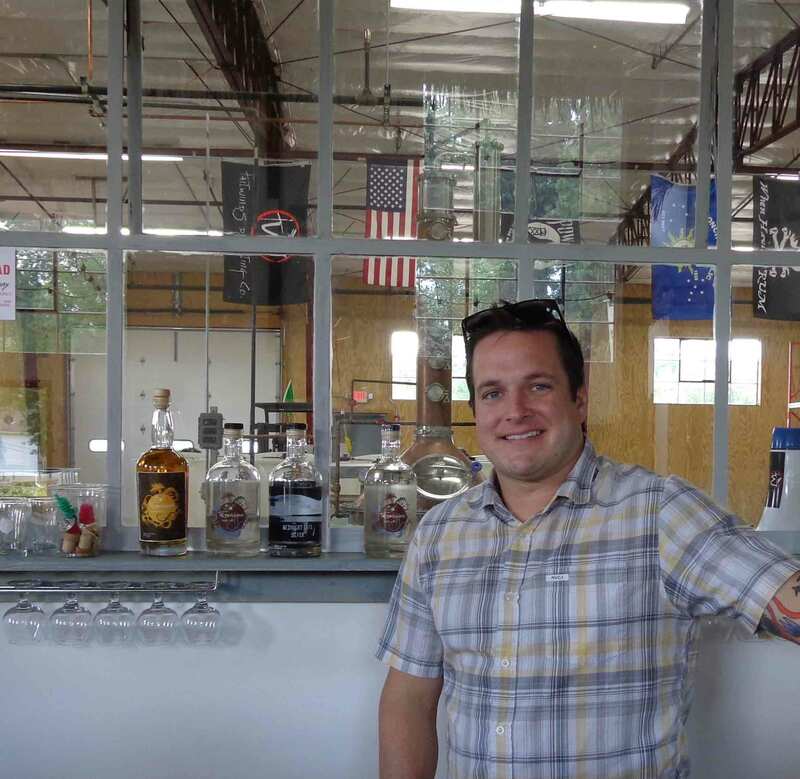 Tailwinds Distillery in Plainfield is a top-notch distillery of exceptionally fine rum. When I met Toby Beall, who is the founder and head distiller for Tailwinds, I learned that his interest in rum, like mine, is anchored in history. He is a descendant of some of the hundred-plus early rum distillers of colonial New England. Toby and his brother/partner, Jamie, are both pilots–hence the company’s name, Tailwinds. Traveling in the Caribbean, and sampling the greater variety and higher quality of rums there, is what switched Toby from looking for the usual stuff at liquor stores to wanting to produce a really high-end rum back home. 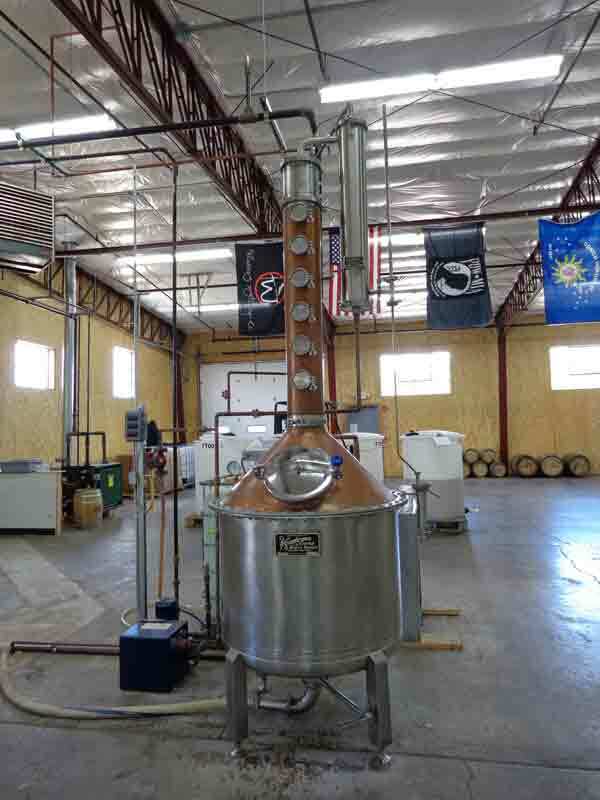 The handsome, copper and brass still that lets them make the magic happen was built in Louisville, KY (another place that knows something about distilling fine spirits). In addition to rum, Toby also makes a very clean-tasting agave liquor–just to keep things interesting. But rum is still the main focus. Now that things are moving along at a nice pace, Toby feels they can start putting rum up for longer aging. (Since the company is only one year old, they haven’t had a chance yet to do anything with a huge amount of age.) I think this is a company to watch–but even if you don’t want to track their progress, you might want to pop into Whole Foods (if you’re in the Chicagoland area) and check out this new, Midwestern entry in the rum race. I don’t think you’ll be disappointed. The photograph above is of the historic Morgan Lewis sugar mill, built in the early 1700s on the island of Barbados. It is one of only two intact sugar mills remaining in the Caribbean. 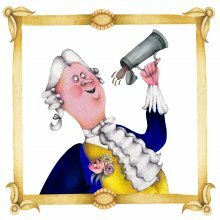 As noted in the history of sugar (Jan. 21 post), with the rise of coffee, tea, and chocolate in Europe, the demand for sugar led to an explosive expansion of the sugar trade. Sugar plantations spread like wildfire through the French, Spanish, Dutch, and English colonies in the Caribbean (or West Indies, as they were then known), as well as in South America, especially Portuguese Brazil.